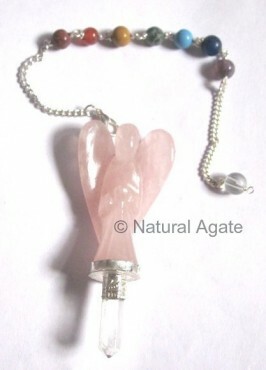 Natural Agate gets you Rose Quartz Angel Chakra Pendulum at a fair price. The chakra stones will ensure continuous flow of energy in the body. The angel will bring love and friends in your life.